CreMo is excited to announce that we are currently seeking applicants for the CreMo Cares for Kids Grant. Do you know a family who could use a stowage lift for their child’s power chair? 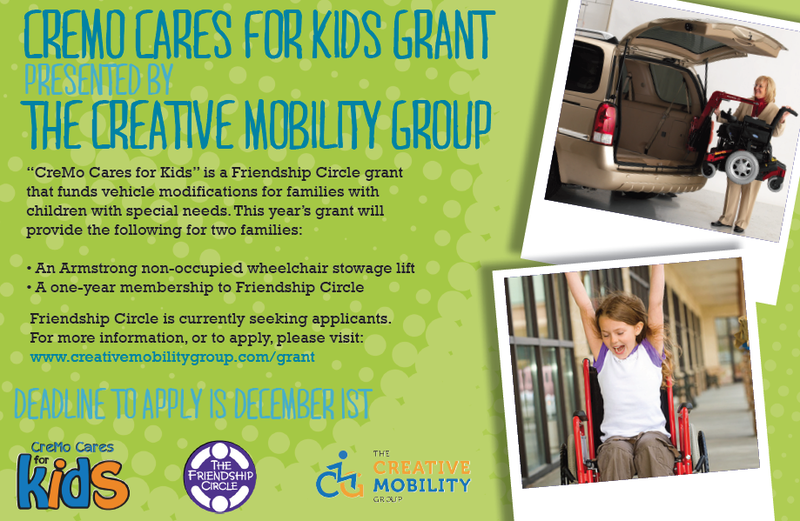 Please share this post to help spread the word and visit www.creativemobilitygroup.com/grant for more information! The deadline is December 1st! If you or a loved can benefit from the CreMo Cares for Kids grant, please apply!